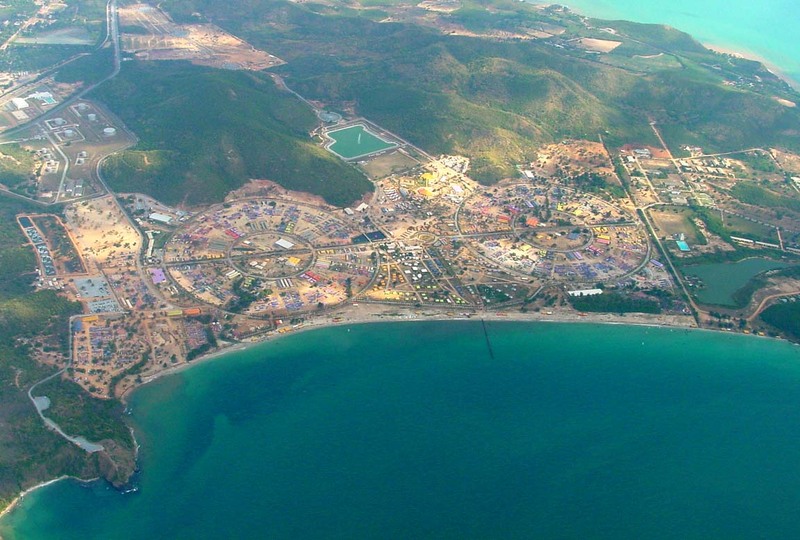 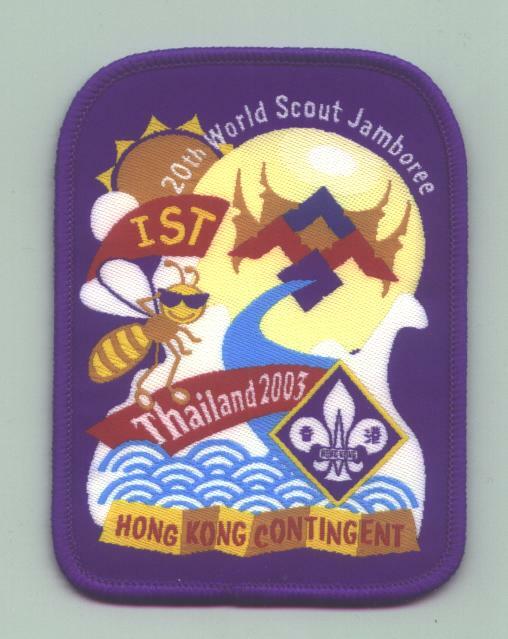 Site: Sattahip, Chonburi Province, 150 kms south of Bangkok, Thailand. 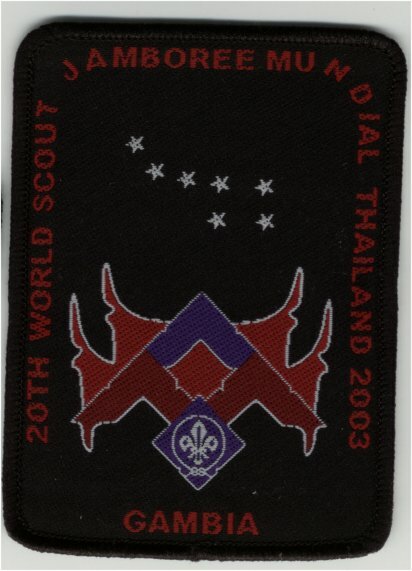 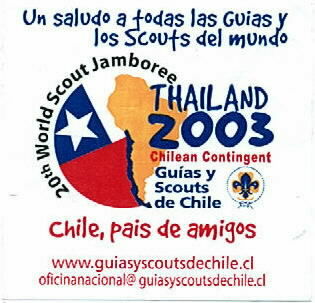 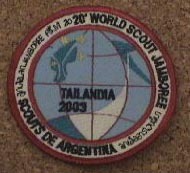 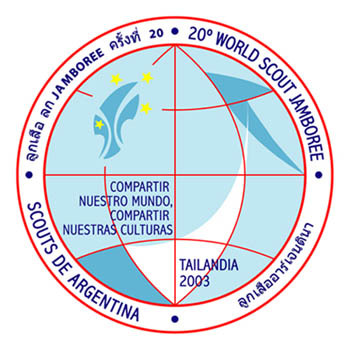 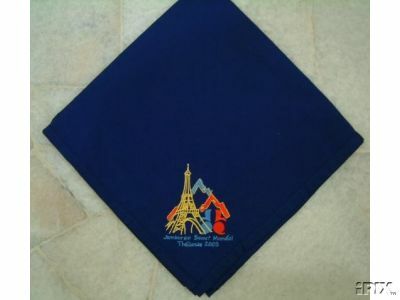 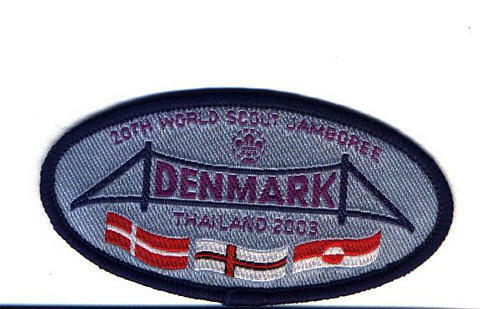 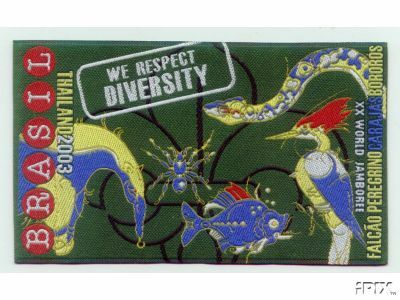 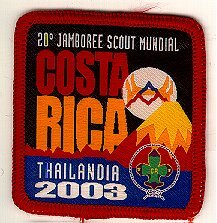 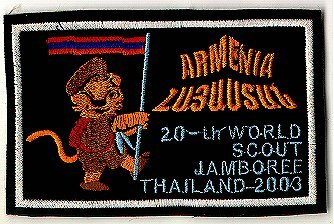 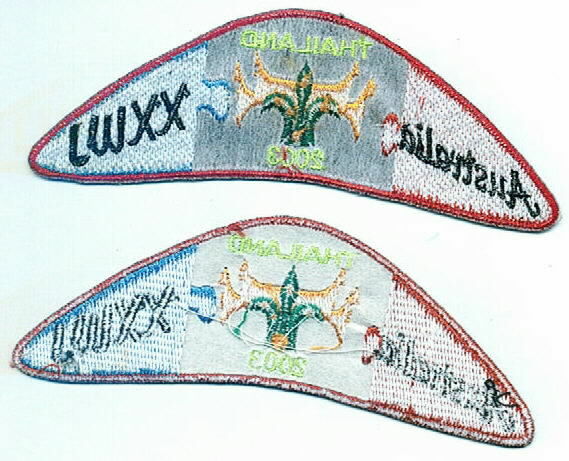 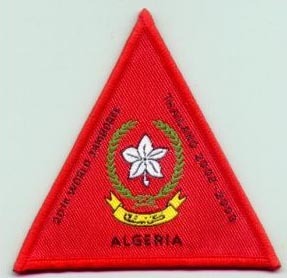 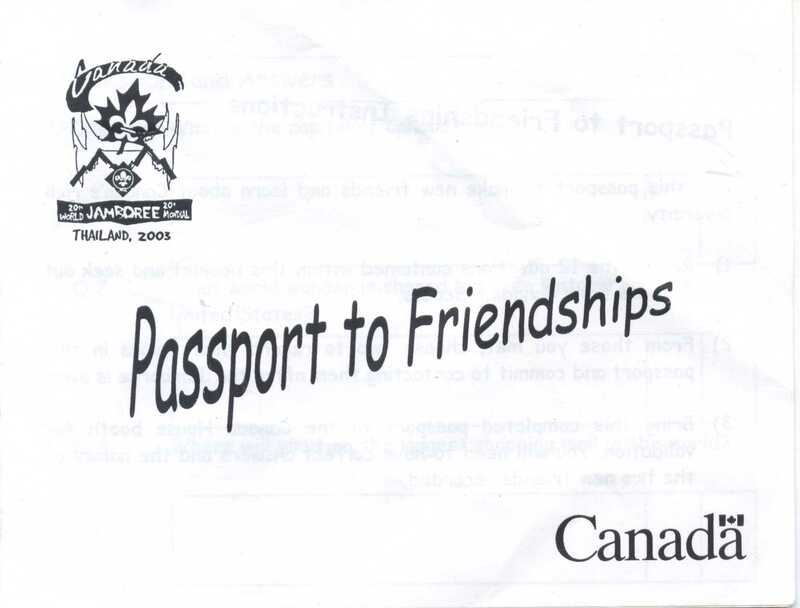 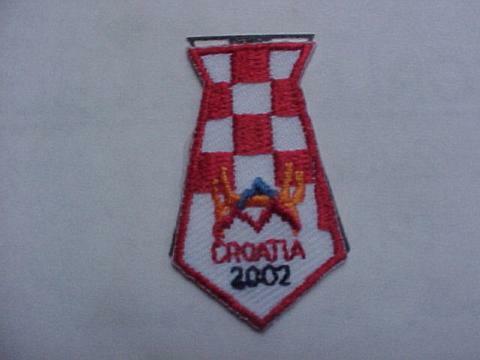 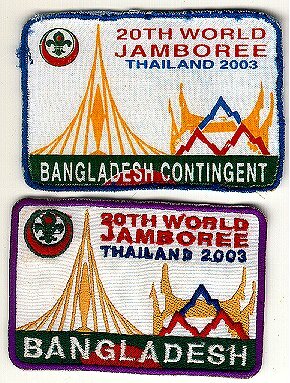 Theme:"Share our World, Share our Cultures"
Only Red & Light Blue were officially provided with Sewn on Patches, others exist which were done privately. 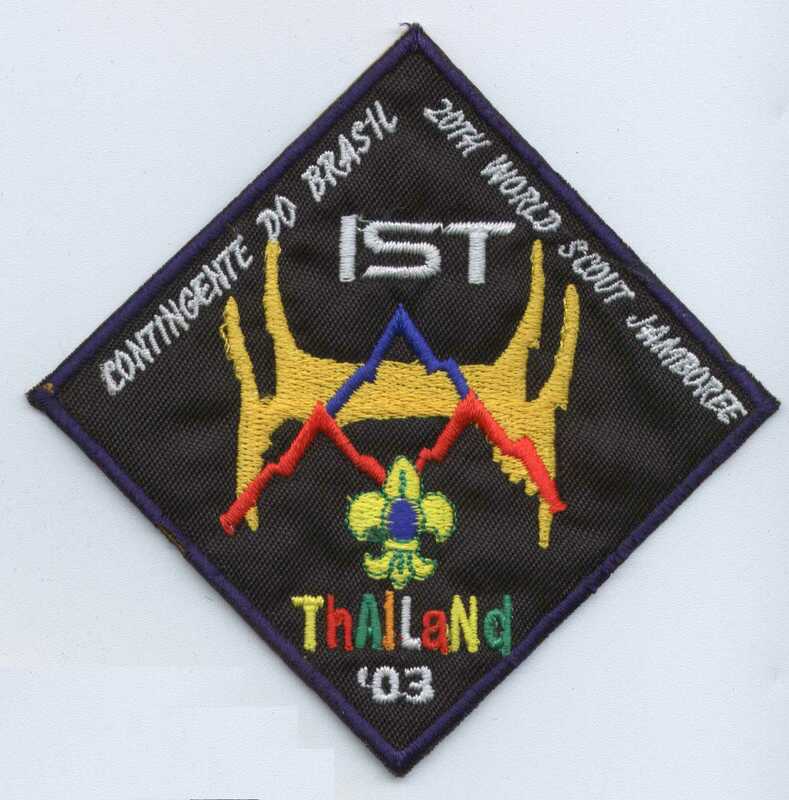 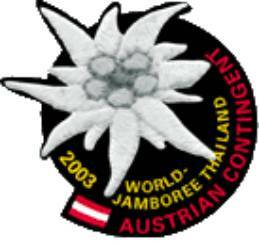 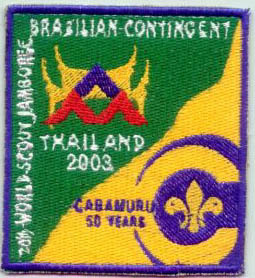 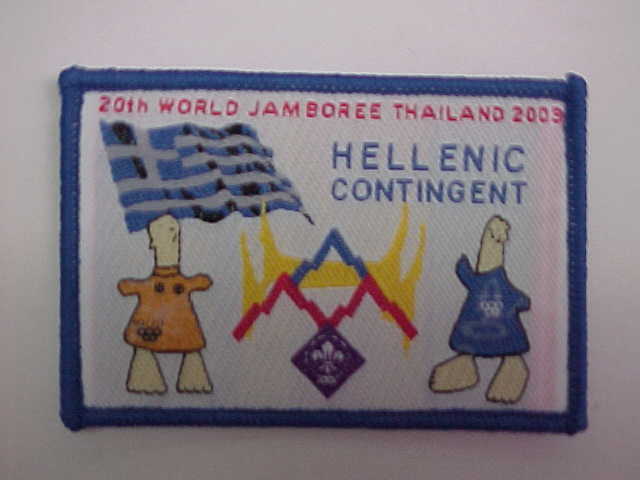 Plastic different color depending of subcamp. 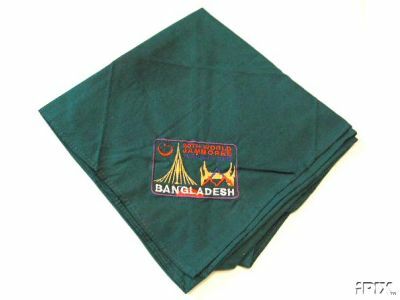 When they were off site their food was supplied in one of three printed bags. 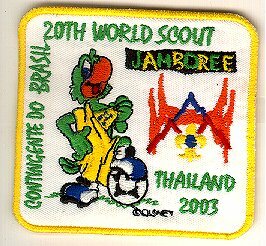 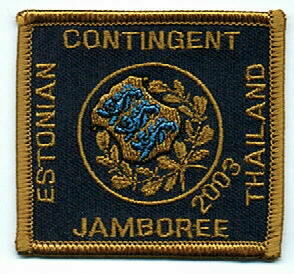 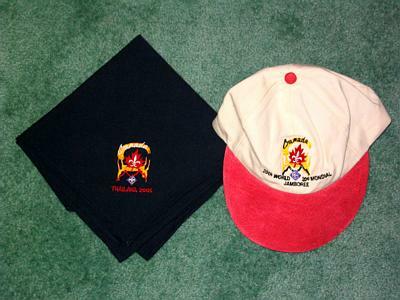 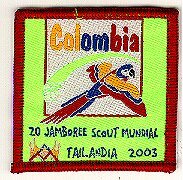 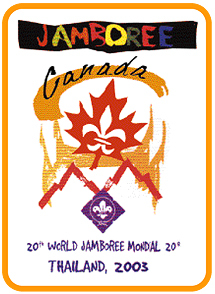 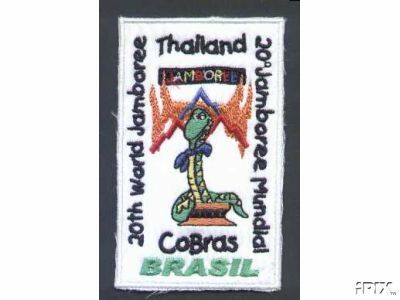 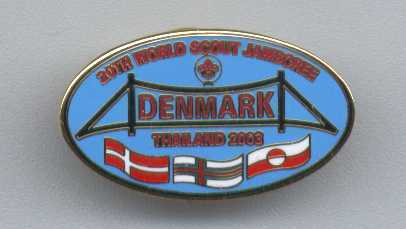 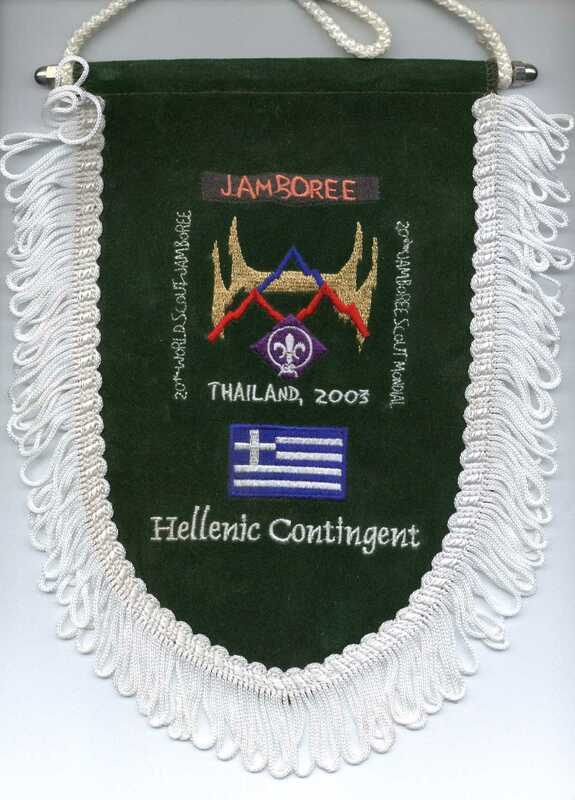 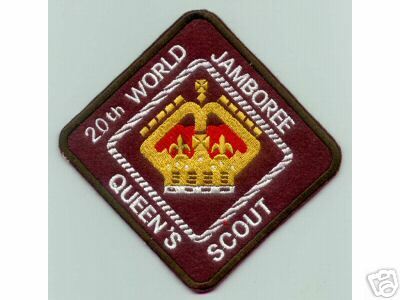 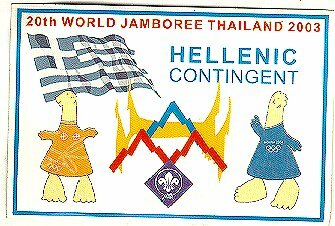 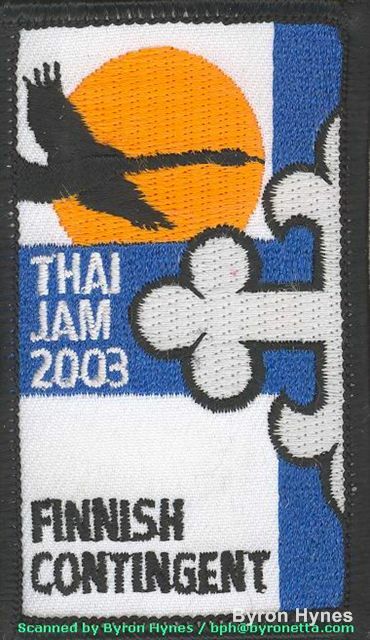 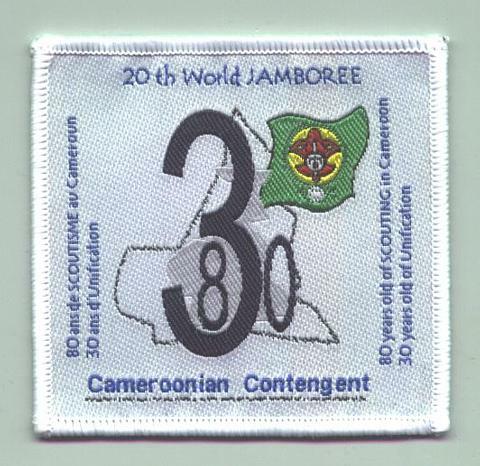 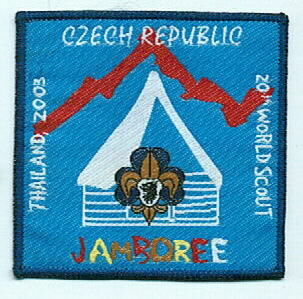 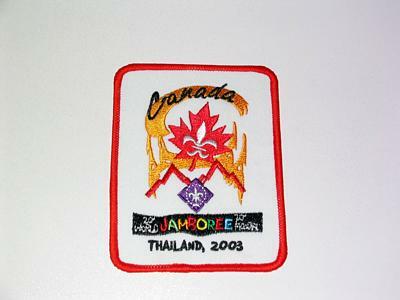 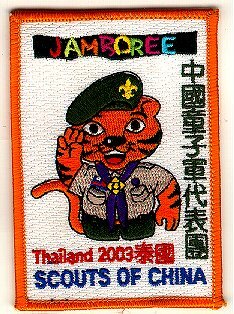 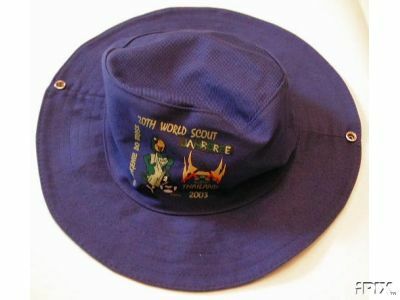 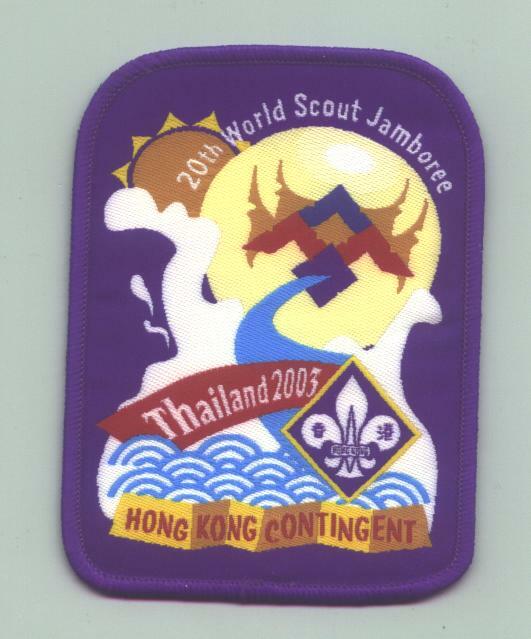 Each had the Jamboree logo on one side and three different designs on the others, these had different coloured cords for different days of the week and white ones were vegetarians !!!! 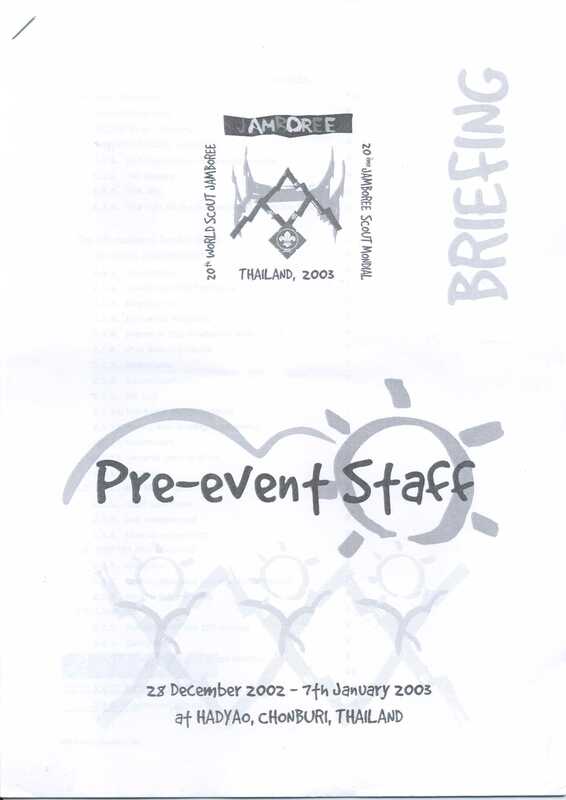 Books: City of Science -Tournaments - Face the waves - Our Heritage - 1 - 2 - 3 - 4 - 5 - 6 - 7 - 8 - 9 - 10 - 11 - 12 - 13 - 14 - 15numbered leaflets for the different exploring our heritage activities.